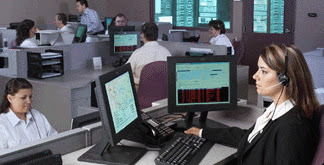 Fleetwatch owns and operates our 24-hour Safety Call Center is located in North America and is equipped to take calls immediately upon motorist’s call-in. Our Safety Operators are bi-lingual and professionally trained to first defuse the motorists’ anger, and then document their observations of the incident. All calls are recorded live. These calls are reviewed, and verified by a trained Safety Specialist to eliminate false reports. All Observation Reports are recorded, verified by the Safety Manager, and then forwarded by the selected method of our clients within minutes to their designated authorized personnel. Our system will continuously send the report until we receive acknowledgment receipt of observation report. Fleetwatch Systems recognizes the importance of representing your organization in professional manner. Expect nothing less from the leading Driver & Fleet Monitoring Risk Management program provider. ⇒ 93% of calls responded to without being placed on hold!